Giants general manager and ornery math-hater Dave Gettleman did his year-end press conference on Wednesday. 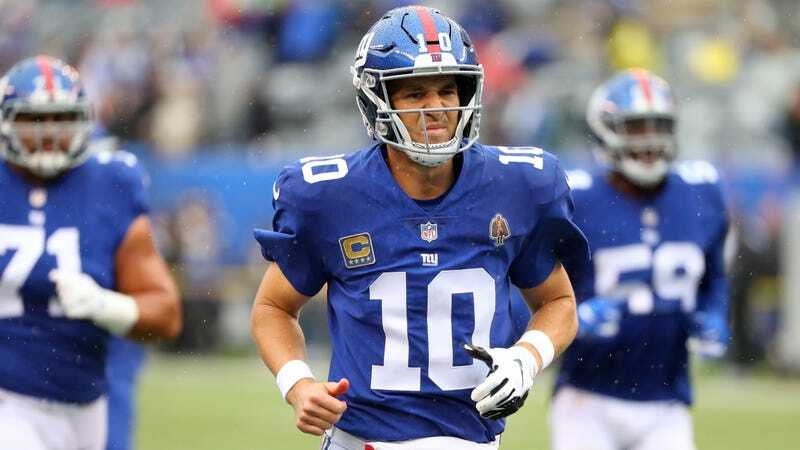 Predictably, the questions tended to angle for information about the team’s quarterback situation, where Eli Manning has become a tomato can while somehow also putting up one of the more conventionally solid statistical seasons of his career. 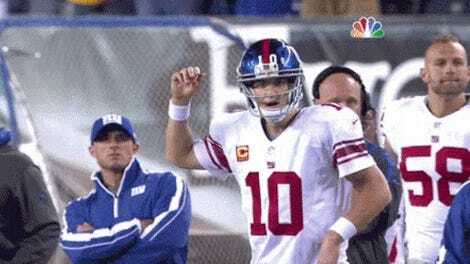 For his part, Manning sounds unsure both about his future with the Giants and about whether he’d continue in the NFL if the Giants decided to part ways, telling WFAN, “I don’t know if it’s leaning one way or the other right now, I think this is kind of the time to reflect and figure out what’s the best thing going forward.” Probably the happiest non-fantastical ending to Manning’s career would’ve had him choosing to retire this offseason, so that the Giants could move to the next guy without conflict or controversy. Instead, it sounds like the old goober is ready to suit up for at least one more season, and the back half of this lost season provided just enough of an opportunity for Eli to cobble together a case for himself and make Gettleman’s decision at least a little awkward. It’s worth remembering, last time the Giants borked this up it cost Gettleman’s predecessor and an unpopular head coach their jobs.